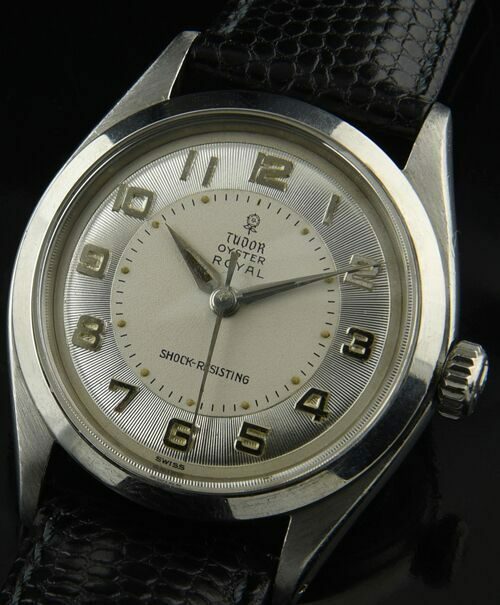 I would jump on this vintage 1962 TUDOR (by Rolex) FAST! This original dial is absolutely amazing! Look at the bulls-eye mid-section having small rose logo. The outer section is ribbed and is highlighted with prominent applied Arabic numerals. The original Dauphine hands add collector’s appeal as well. 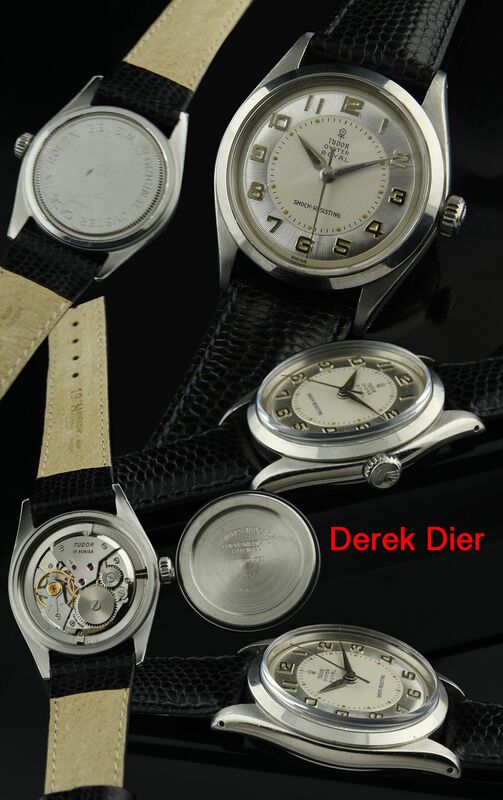 The manual winding Tudor movement was just cleaned and is accurately keeping time. The 34.25mm. ROLEX OYSTER case displays very fine overall condition. This is a stunner on the wrist. I’ve not found another dial like this on a TUDOR.